In this post, we look at the Pinterest Pins that performed best last June to help you understand what you should be Pinning this month. 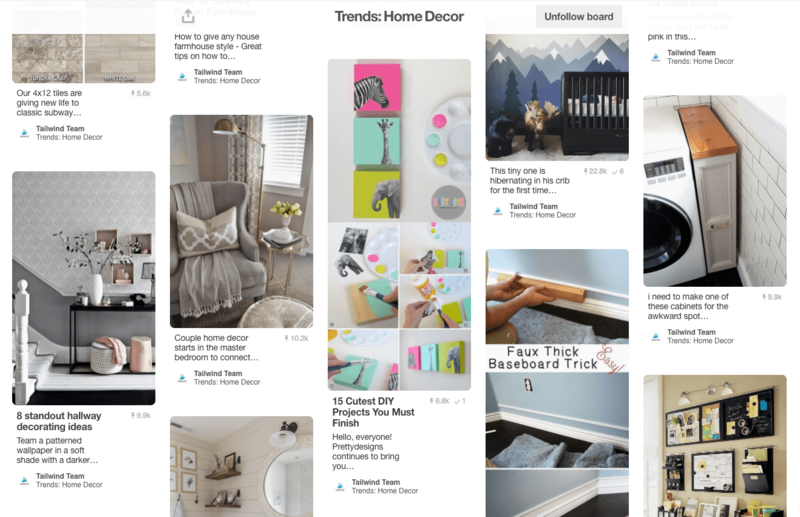 We analyzed all of the Pins from Tailwind members from June of last year and Pinned the ones that received the most Repins to our 11 “trends” boards – one board for each of the 11 most popular Pinterest categories. We Pinned to these boards in the chronological order that the Pins were published, so Pins at the bottom of the board are from earlier in the month and Pins at the top are from later in the month. Only the Pins on the board between the Pins that feature the text “What to Pin in June” and “What to Pin in May” relate to Pins that were popular last June. We see a lot of succulents and Pins with the succulent-esque blue/green color palette. There are a number of ideas for making the outdoors more comfortable for entertaining. Inside the house, the focus is on creating unique wall art. We see a lot of Pin showing ideas for marrying the outdoors with learning. There are a number of Pins that focus on improving fine motor skills. Kids are out for the summer, but parents still want them to be learning. There are a lot of simple DIY science experiments that can be done at home. It’s taco season! Those handy meals are super popular during the summer. There are also more foods that are in season being Pinned. Focus on avocados, berries, and other in season ingredients. Diets are always popular. There’s a lot of overlap between the various diets, so be sure to list all of the diets that apply to your recipes. Braids and messy buns are trending in June. These are cute ways for people to keep their hair out of the way in the summer heat. The nail art has taken a summer-y turn, with more summer-inspired designs and bright colors. DIY and beauty have a lot of crossover this month. Pins that show how to create beauty products have the potential to do well in multiple categories. Workouts that go along a schedule are trending in June. These are things like how fast to run per minute or what exercise to do during a song. There’s an increase in Pins focused on kids fitness. They’re home for the summer, so you need to keep them moving! “Yoga for X (flat tummy, weight loss, kids, etc. )” Pins are specific enough to target different Pinners. There are a lot more kids parties than anything else this month. We see a number of 4th of July Pin ideas pop up. LOTS of gray suggesting that gray is the new preferred natural in home decor. Cheap DIYs that look expensive are a favorite of home decor Pinners. “Curb appeal” is a topic that starts to pop up more in June. We see more Pins focused on new moms. Things like breast feeding and bottle feeding tips, baby names, and even shower ideas are popular in June. Messy, fun activites to do with kids are perfect Pins for June since the mess can be made outside. Just make sure you have shaving cream on hand! Educators and TPT-ers should think about creating parent-specific products and ideas for summer time. Parents want to help their kids grow during their months off, so be their go-to resource. Eye-catching, colorful images always perform well in travel. Travel bloggers should think about adding multiple images to their Pins. TEst how they perform vs. just using one eye-catching image. People are always looking for tips for going around X country. The vast majority of Pins are in an outdoor setting. There are a lot more rustic-styled Pins than glamourous wedding Pins. Brides tend to focus on those details that make their wedding unique, like an unusual bouquet made with succulents and baby’ breath. Style grids and capsule Pins help Pinners understand how to style their pieces. In June we start to see a lot more fall/winter clothing than expected. The images that perform well are mostly taken in real-life situations.